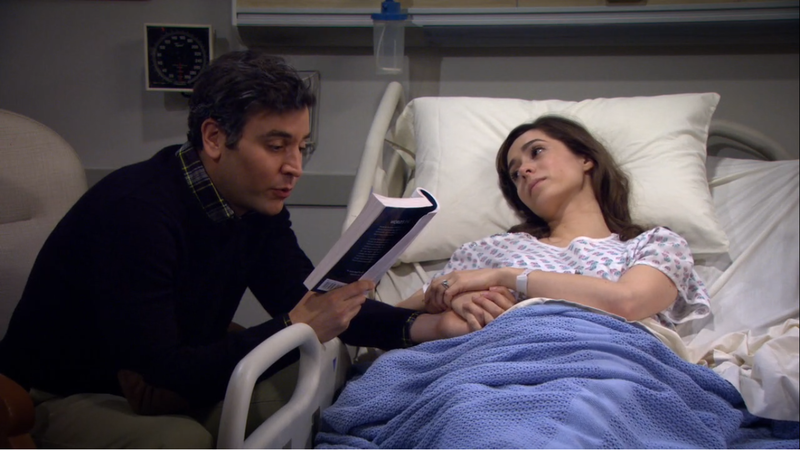 It’s been one week since the series finale of How I Met Your Mother. That’s one week to let it sink in, to reflect, to gather thoughts and to form opinions. Below is a letter written over the course of that week and edited as those thoughts and opinions came, went, and changed. And in case it’s not obvious… Spoilers incoming! It’s been a long journey. We remember nine years ago when we first experienced your hilarity. We wouldn’t have guessed that you would last as long as you did or have as many twists and turns as you did. Back then you were just a standard sitcom making us laugh for half an hour each week. Then you started to change. You threw curveballs like heartbreak and unexpected death at us, and we learned to appreciate you even more. You changed from a run of the mill comedy to a television show that was truly legen…wait for it…dary. You have become an integral part of our lives; we quote you daily and reference you just as often. We’ve self-fived, gone to the mall (today), and wanted to buy (and/or steal) a blue french horn. We’ve called our unlucky friends Swarley and played “Have You Met Ted?” We’ve put “I’m Gonna Be (500 Miles)” on our road trip playlists and thankfully haven’t experienced Slapsgiving, but we do make slap bets with our friends. Somehow you managed to get better and better with every passing season. Sure, Season 9 wasn’t your best season. I mean, stretching out three days into twenty-four episodes wasn’t exactly your finest moment, but there was plenty to laugh at and enjoy. The excitement of being introduced to the mother and seeing her side of the story as “the moment” approached was pure genius. We were already attached to her before we ever actually saw her and Ted together. The flash forwards only confirmed that she was in fact the perfect match for Ted. We’ll admit, just about everything about the series finale was risky and brave. It seemed anticlimactic to have an entire season build to a marriage that ended within one episode’s time, but hey, you win some and you lose some. Regardless of anything else, though, nothing could take away from the magic of Ted and the mother seeing each other for the first time. Sure we’d seen them together in flash forwards, but we couldn’t help our excitement as the tension built to the monumental moment. Then again at the train station, we sat on the edge of our seats waiting for their first real meeting, and it was everything we’d waited nine years for. And then she was gone. We may have had our suspicions on the twist of the mother no longer being with us at the end of the series, but that didn’t make it any easier to deal with. You perfectly illustrated that she was really the one for Ted, and you did so in such a short amount of time that we can hardly believe it. In the days following the series finale, we’ve seen considerably more hate than praise for the way the series ended, but we’re here to tell you that we think the ending was a good one. You gave a lot of people what they’d wanted for years (Ted and Robin together again), but you did it in such a way that even the most dedicated of Ted/Robin shippers felt bittersweet about their reunion. The part of us that watches TV as an escape from reality was more than a little bothered with the way the series ended, but the part of us that recognizes good writing loved it. We’ve seen people complain that Barney and Robin’s divorce made the entire ninth season insignificant, but how many times in life do we put all of our time and affection into something that amounts to nothing in the end? And really, that was the only way for Ted and Robin to get their happy ending that so many of us rooted for since season 1. You took hilarious, over-the-top, larger-than-life characters and turned them into real people with good times and bad times just like ours. Some people may be angry with you for not having some grandiose finale, but we love you for it…and we will miss you. You gave us contentment, which is exactly what we wanted. I think my biggest issue was how disloyal Ted was to Barney in the end. Barney made an effort to be around, and then Ted goes after his ex-wife. That bummed me out. But Barney pick up Robin from Ted too. I believe that Barney is ok with that.